prospective businesses, and supports workforce development. Economic Development promotes development of a strong and diversified economy through a comprehensive Economic Development Plan that: (i) unifies the collaborative efforts of key stakeholders and community partners; (ii) capitalizes upon the community’s economic base and development potential; (iii) recognizes industry trends and establishes realistic business retention/attraction targets; (iv) identifies business assistance and public infrastructure needs; (v) interfaces with the County and the Economic Development Collaborative of Ventura County (EDC-VC) to facilitate the City’s economic development goals; (vi) engages the support of the Convention and Visitors Bureau to promote leisure and business travel to effectively impact the City’s transient occupancy and sales tax, and (vii) supports other critically important community objectives including public health and safety, social services, and environmental quality. Downtown Revitalization provides and manages revitalization efforts expressly geared to improving Downtown including: (i) coordination of stakeholder organizations in the delivery of goods and services in a cohesive and mutually supportive fashion; (ii) development and implementation of programs to improve the outward appearance and economic vitality of targeted properties; (iii) cultivation of new revenue sources and economic development tools to sustain revitalization efforts and back-fill former redevelopment authority; and (iv) leverage disposition of former redevelopment properties to maximum physical and economic impact. Redevelopment Dissolution implements the statutory requirements of AB X1 26 in winding down redevelopment activities of the former Community Development Commission (“CDC”) including: (i) staff support to the Successor Agency, Oversight Board, and Successor Housing Entity; (ii) disposition of real property assets in accordance with a State-approved Long-Range Property Management Plan; (iii) report preparation and interface with the State Department of Finance on the allocation of tax increment trust funds; and (iv) management of recognized obligations and completion of on-going redevelopment projects. Heritage Square Facilities Rental Program oversees the rental of this very unique venue for public and private events. The Department is responsible for booking weddings, wedding receptions, social affairs, and community fundraisers held at Heritage Square. Available for rental is the Main Plaza, the Rose Garden, the Courtyard, and the Chapel. The Chapel is a Ventura County Historical Landmark that was built in 1906 and is also available for self-viewing or a site tour. Oxnard Convention and Visitor’s Bureau (OCVB) is an independent, public non-profit 501(c)(4) organization and is publicly funded by the City of Oxnard. As a “marketing arm” for the City, the Bureau’s mission is to promote leisure and business travel to effectively impact the City’s transient occupancy tax (TOT) and sales tax revenue into the general fund. OCVB’s primary responsibility is to act as the agency which promotes Oxnard throughout the Southern California region, the State of California as a whole, the U.S., and in select markets (Western Canada, the UK, Mexico, and China) as a great destination for leisure, travel, reunions, meetings and educational tours sectors. OCVB places advertising, promotions and media outreach programs in print, online, and through social media mediums to increase consumer awareness and to promote Oxnard in our primary markets. 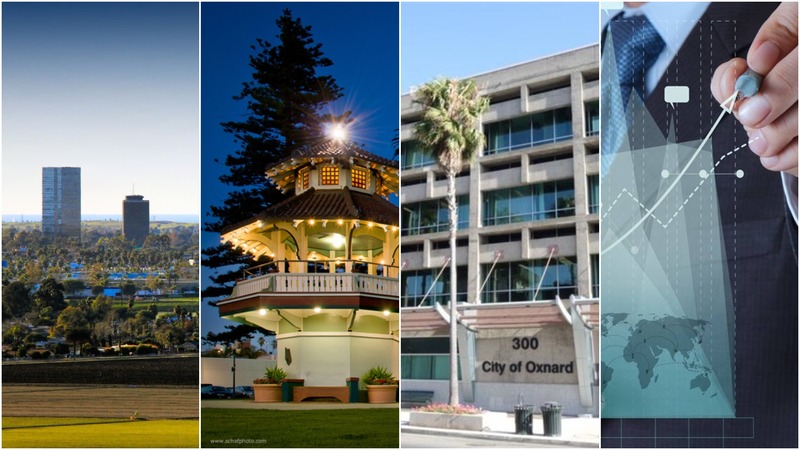 The OCVB provides a clearing house for research and data on the travel patterns and trends to assist the Oxnard hotel, restaurant and attraction sectors to make informed marketing decisions. The OCVB operates the Official California Welcome Center for the region, serving 30,000 plus visitors and locals per year.